The PULSE PVS series are ideal as an entry level stage monitor for live music, karaoke or practice venues. High power handling combined with tough build quality make these excellent value for money. 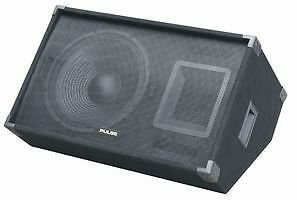 Woofer Size : 10" : 12"
Piezo Tweeter Size : 6" x 7" : 8" x 12"